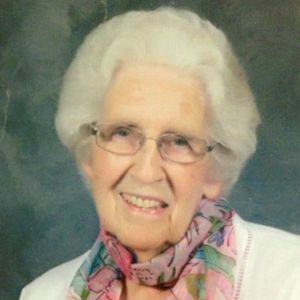 Ruby Bedsole Wilson, 89, entered into eternal rest Wednesday, February 20, 2019, at Wesley Pines in Lumberton. Mrs. Wilson lived in Tar Heel most of her life and was a member of Tar Heel Baptist Church where she was a leader in the church music program for many years. She enjoyed visiting with family and friends and sharing her faith. Mrs. Wilson was predeceased by her parents, Sidney and Ruby Dunham Bedsole; her husband of 58 years, James Martin Wilson; brothers Raymond, Junious, Amos, Harvey, and Gene Ray Bedsole; sisters Berline Jones and Frances Johnson. She is survived by sons Donald (Susie) of Hilton Head, SC and Douglas (Julia) of Dunn, NC; daughters Joanne Grimsley (Mickey) of St. Francisville, LA; Sandra Sessoms (Larry) of White Oak, NC; Patricia Meachum (Marc) of Clemmons, NC; and Sharon Autry (Ronald) of Dublin, NC; one brother Morris Bedsole of Surfside Beach, SC; one sister, Elizabeth Bowen of Middleton, PA; eleven grandchildren and sixteen-great grandchildren. Visitation will be held Friday, February 22, 2019, from 6:00 until 8:00 pm at Bladen Gaskins Funeral Home in Elizabethtown. The funeral will be Saturday, February 23, 2019, at 2:00 p.m. at Tar Heel Baptist Church with Dr. Mack Roberts and Reverend Warren Hill officiating. Burial will follow in Tar Heel Baptist Church Cemetery. Memorials may be made to Wesley Pines Benevolence Fund, 1000 Wesley Pines Road, Lumberton, NC 28358. Add your thoughts, prayers or a condolence to Ruby's guestbook.